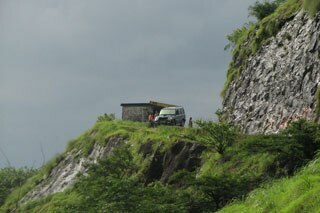 Trips to any place whether it is through a paddy field, mountain, or to see .. I have a personal shrine- well; I would like to call it so. Near to my hometown, a place which I feel like heaven; where everything is so serene and calm- yes, such is the beauty of the place that gives you the feeling that God himself dwells here. 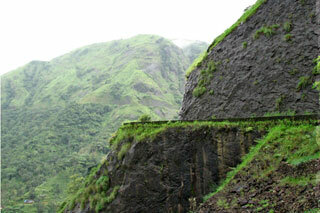 It's Wagamon, a small hill station situated on Western Ghats, in the Idukki District of Kerala. My pilgrimage to Wagamon started during my childhood days. My father used to take me there, occasionally, for a mini vacation. 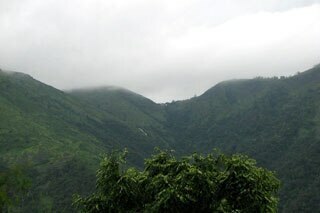 I love Wagamon, especially during the monsoon. 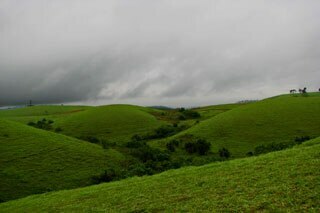 The greenery everywhere will be so fresh and the dews clinging on the shrubs looked like they were just formed from the tears of heaven. The dark clouds hovering over the whole landscape and the misty mountain winds, adds to the whole mystery. Even the route to this place fills us with awe with its huge mountains and deep ravines. I have visited the place numerous times that I have lost count of it. It's like visiting your shrine or temple to unwind yourself and will be wondering, when asked how many times you have come here. Each time I come here this haven looks new and different. It's like the each fleeting moments in Nature that never comes again. 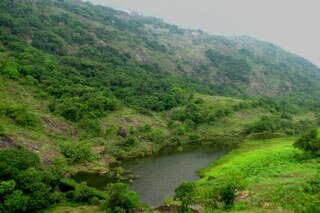 There are lots of places in Wagamon that will take your breath away. My favorite is the monastery and the areas linked with it. Anyone will shake their heads in agreement that this is a superb place for meditation and to setup a monastery; such is the quietness and serenity you will find there, that you feel that God Himself dwells there. Everything and everyone here, dwells in harmony with Nature. 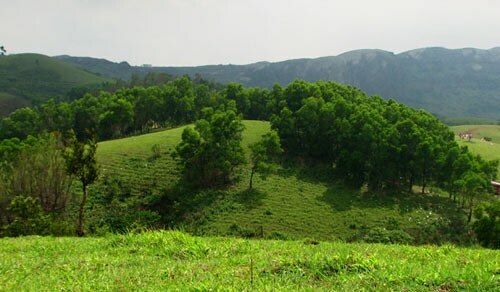 The green meadows and the pastoral farms in the mountain where the monastery is located, the tea gardens surrounding the landscape, the mellowed mountain streams and the cascading waterfalls in the rocky terrain, just re-kindles the primordial spirit in us. My first experience with Nature was here. Here, was the place that I first came to know about her and her mesmerizing beauty. Well, in fact, I first started to love solitude when I experienced Nature, here. This was the only thing that brought me real peace and calmness in my life- particularly, when among the maddening crowd and the stresses of life. The monastery itself is a beautiful place. Many monks and nuns live here in peace. There is a place of worship adjoining to it. The next beautiful thing you can find here is the Indo-Swiss project dairy farms managed by the monastery. You can see huge cows here and an adjoining milk packing plant. The monastery has a beautiful garden too. The place has an irrigation area adjoining the grazing area. This was the point where I first fell in love with Nature. The mesmerizing kiss of the breeze, the wailing melodies of the wind moving solemnly through the mountain harps, the chorus of the cicadas, the mingling notes of the stream in the canal, the cool touch of the misty meadows, the sweet scents of the flowery bed. Words just can't describe the feeling nor can a camera capture it. It can only be felt by a human heart. 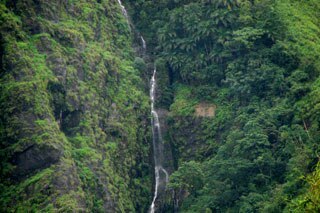 Unfortunately, after the destruction of most of the pristine lands of this paradise by the reckless tourists who came here, the access to most of these areas, especially those near to the monastery, have been restricted, now. It's really sad to see the state of affairs now in Wagamon particularly for people like me who had been visiting the place like a holy shrine in different seasons, for years. Much of the tourists usually come here to booze and chill out, and one feel really pained to see that people could no longer appreciate the beauty of the place but destroy it with their reckless ways, polluting the environment, the soil, the water and even the calm and serenity here. No wonder, the monastery prohibited the entry of vehicles 2 kilometers from the monastery. There are other areas too, of scenic beauty. I am describing those areas where tourists usually don't go and where you can get the real feel of nature. Near to the monastery, a little far from the entrance gate, if you take the stone laden untaken path that is away from the commonly treaded road, you can find yourself at a lake in the valley of a mountain. The lake is surrounded by a knee- length stoned wall and hedge rows. If you can find your way through it, (or above it, like in my case) you can reach the lake. It's not a usual tourist spot and because of that, you can see the beauty of the virgin land. The lake is clear and calm and the whole area mesmerizes us with the misty mountain breezes and the mingling notes of the wriggling streams coming from some hidden place and finally ending up in the lake. You can't just make yourself leave that place. Such is the beauty there. Another area that I love here, are the undulating hills, whose beauty has been now destroyed by running vehicles up and down. But if you can manage to walk around the area, and have the guts and spirit to travel the roads untaken, and allow Nature to carry yourself with her, she will show you her beauty that is still not yet destroyed by her enemy- humans. Sometimes you may reach some grazing lands where the cattle will be grazing in the meadows. It's just peaceful to watch them grazing. Once, a young calf came near me. When I touched it, it was sucking my finger. My finger smelled of milk. She was a beautiful brown calf with round black eyes. Another area of interest is the dense pine valley forest, one of the prominent tourist destinations. It is so intense and dense, that even the sun rays won't intrude here! However, you can see how the other intruders have caused pollution to this pristine area. But still this area stands out with its beauty. If you can manage yourself to get carried away again from here, you can reach other pine forests where tourist folks usually don't go. If you can get away from this area, there are other woods in the nearby mountains that are not as dense as these. Well, one thing that I can guarantee is that, Nature shows herself to those who love her and can really experience her. Keep your heart open and just follow her when she takes you with her. There are other areas worth mentioning. The pilgrimage center for the way-of-the-cross with 14 stations of cross, on a huge mountain- Kurishumala, is for one. I used to climb the mountain years back and it gave me a spiritual experience. The view from the top of this mountain is breath taking. 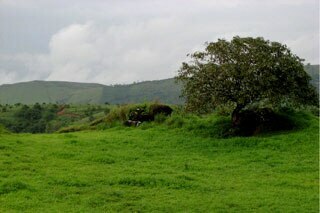 Then, there are mountain peaks in the adjoining area, where you can view the whole landscape and the beautiful valleys. 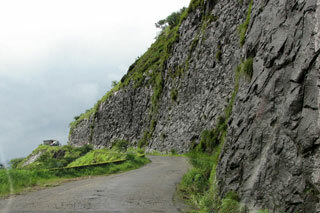 There are avenues for trekking, paragliding and mountaineering expeditions, here. If you take the path less travelled, you can find yourself in beautiful tranquilizing places. Just like each one has his way to find God, this is my pilgrimage to my personal shrine where I find the true essence of life and the Great Artist.